An ideal portrait-length prime, the Canon EF mount 85mm f/1.4 AS IF UMC from Rokinon pairs a bright, fast f/1.4 maximum aperture with a short-telephoto focal length to suit portraiture and other applications where shallow depth of field is desired. This manual focus lens incorporates one hybrid aspherical element to control chromatic aberrations for increased clarity and even sharpness and illumination. An Ultra Multi-Coating has also been applied to lens elements to reduce lens flare and ghosting for increased contrast and color neutrality. This lens is also characterized by an internal focusing design, which maintains the overall length during use, as well as an 8-blade rounded diaphragm for a smooth bokeh quality. A fast f/1.4 maximum aperture benefits working in difficult lighting conditions and also enables extensive control over your focus position for shallow depth of field shooting. One hybrid aspherical element helps to control chromatic aberrations and distortions for increased clarity and sharpness. An Ultra Multi-Coating has been applied to lens elements to reduce lens flare and ghosting for increased contrast and color fidelity. A rounded eight-blade diaphragm contributes to a pleasing out-of-focus quality when using selective focus or shallow depth of field techniques. Box Dimensions (LxWxH) 9.9 x 5.6 x 4.3"
85mm f/1.4 AS IF UMC Lens for Canon EF is rated 4.6 out of 5 by 83. Rated 5 out of 5 by Noah from A+ Amazing Lens! This lens is fantastic. Great clarity, good bokeh, all around beautiful. I have never used auto focus, so the manual focus on this lens is great. It's got a smooth focus pull, great for racking. It's perfect for video, also works great for portraits and headshots. The only downside to this awesome lens is it's 3 foot minimum focus length... No ECU's with this guy. It more than makes up for it with all its other attributes- I don't go to a shoot without this lens. The results are stellar, whether its a tight framed closeup or a rich wide shot. It delivers amazing quality paired with my Canon 6D. Rated 4 out of 5 by frnz from Great Full Manual Lens Besides for the axial chromatic aberration, this is a superb manual focus lens. When opened all the way to f/1.4 it does get quite soft, but when stepped up to f/2 it is pretty sharp. Because the DOF is so narrow, making focus adjustments for close subjects is near impossible to get perfect without a tripod and monitoring the sensor with live view zoomed in 10x. For subjects at a reasonable distance I can just do some manual focus bracketing (slowly turning the focus ring while burst shooting) and hope that one shot catches the right focus point. The type of chromatic aberration in this lens was a killer for me at first until Adobe updated LR and ACR with tools to fix axial CA. Also, the focus ring is very nice. It's not too easy to turn but not too hard, and the range is spread around it nicely. Rated 5 out of 5 by rdmarque from Awesome MF Lens Probably one of the sharper lenses I have gotten my hands on. The MF needs a little getting used to, but if your new to MF, the best way to learn how to use is to get out and use it. I use this as a walk around lens, and if you use the zone focusing technique, then MF isnt really a problem. The focusing ring is SOLID!! Nice firmness to it, gives you great control and precision. The aperture ring is great also, clicks right into place. This lens is also great at rendering skin tones. Once you get the hang of MF, images taken are pretty sharp. Now, if it only had a confirmation chip, that would be a perfect. Rated 4 out of 5 by Anonymous from Very good lens! As you saw in the center crops, the lens is pretty sharp, even at F/1.4, though watch out for some heavy color fringing. Light fall-off is low, even at F/1.4. There's no coma, and the corners are almost as sharp as the centers. When used in low light or indoors, the color fringing isn't so noticeable, especially when no hard contrast edges are present.Good, but don't use F/1.4-F/2 for taking pictures of moving subjects, the focus is so soft you'll be lucky to get anything is focus, and depending on the scene and lighting. This lens performs about the same using APS-C or full frame. Rated 5 out of 5 by jmsibertphotog from Awesome bang for the buck! Sharper than any of the mid-grade zooms I have. Clean, creamy backgrounds, excellent color rendition with minimal chromatic aberration thanks to the aspherical element within. A nice size for an 85 mm too.Definitely an excellent portrait lens. Not that awesome for landscapes or sports and such; incapable of macro photography. Made me much more confident about buying a manual-focus only lens (it's so manual it has an APERTURE RING, like the old lenses from way back. No electronic components; camera doesn't even know there's a lens on the front. But it's my lens of choice when it comes to commercial, fashion, and portrait work. Nailing the focus through the viewfinder is tricky, especially in low light, but with a little patience it turns out super sharp, bokeh-licious images that really grab attention. Rated 3 out of 5 by CCSJr from Not right for me! I am mainly a video producer and use a DSLR for this purpose. I have read nothing but great reviews on this lense but one thing that escaped ALL the reviews was the fact that this lense has a manual aperture ONLY. This was a turn off for me as I constantly measure and gauge internally and this just read F00 and blinked leaving me feeling out of control. The images, the few I produced with this lense, seemed a little under-saturated but that could be a placebo effect due to the negative vibe I already had over the aperture. The lense is a very solid built lense and the focus ring did feel good and smooth as stated in other reviews. Rated 5 out of 5 by Mike from Who needs autofocus? This is a great lens. I don't know the technical reasons why it is. I just know that when I take a picture, the images look great. 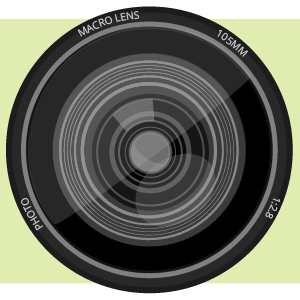 It has the hyperfocal distance scale on it, which corresponds to the aperture you are using, which helps with focusing. I used this at night for food festivals and at f/1.4, it's still pretty easy to focus. And in fact, you can just set a focus to something like 20 feet away, and just never touch it. The physical size is pretty small too for a 85mm. It's no pancake lens obviously, but I think it's small enough to blend it. I eventually plan on getting the 14mm at some point. Rated 4 out of 5 by Anonymous from High Quality Low Price I am primarily a portrait photographer and I wanted a lens that was low light capable with an f/1.4 aperture. The Canon L was way out of my budget and I didn't want to necessarily pay for the Sigma version either. I heard about the Rokinon and thought I'd check it out. The sample images I saw from this lens were fantastic so I took a chance on it. I haven't been disappointed yet! Since it is a manual focus lens I added an EF-S focus screen to my 60D and also an autofocus confirmation chip to the mount. My only grip is I wish they had included the chip to begin with. Other than than that I really can't complain. Manual focusing takes practice and time but once you get the hang of it you'll produce some outstanding images with this fine piece of glass! This lens working with 5D mark 3 ? How is used ? Yes, this lens is compatible with the 5D Mark III. You can use this as a portrait lens, or any other medium telephoto application. What will be the exat amount of money I will Have to Pay When I order in India Mumbai (the amount in Rupee)? Is this lense compatible with the Rebel XSi? Yes, please keep in mind this this is a manual focus only with effective focal length 85mm x 1.6 for your XSi sensor. 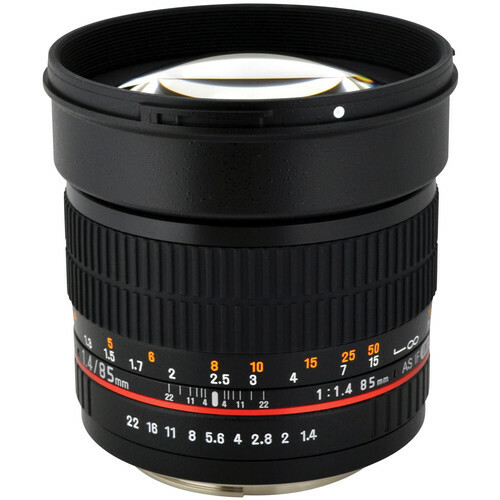 will this lens (Rokinon 85mm f/1.4 AS IF UMC Lens for Canon EF) work with a canon EOS 70d? You want to determine your lens mount (may be ef-s) and if it will accept EF lens. Is this lens will be the best blur lens for canon 750d? I think it will, it is a f1.4, however it is manual focus, a shallow depth of field if you move a little, in case of portrait, your subject could be out of focus. I would recommend for photo studio with a tripod. Does this lens have a declicked aperture ring like the Rokinon 35mm lens? The 85mm f/1.4 lens with AE/Focus confirmation for Canon dies not have an aperture ring to set aperture, this is done through in camera menu settings. will lens work with canon t6i? Will this lens work with my canon t3i? The Rokinon 85mm f/1.4 Lens for Canon is compatible with the T3i, yes.